Ever since I was a child I have wanted to ski. I don’t know why I was so drawn to the idea of an adventurous winter holiday. Especially as I hate the cold. But, the thought of skiing down a powder white mountain and breathing in that alpine air remained stuck in my head. And for that reason, skiing has been on my travel bucket list for a while. And a couple of weeks ago I finally got to on the ski trip that I had been dreaming of with Crystal Ski. It was one of my favourite trips to date. I absolutely loved being in the mountains. They have such a beautifully calming aura and skiing is everything I hoped it would be. And more. It was fun, at times I felt challenged and at other times I felt unstoppable. 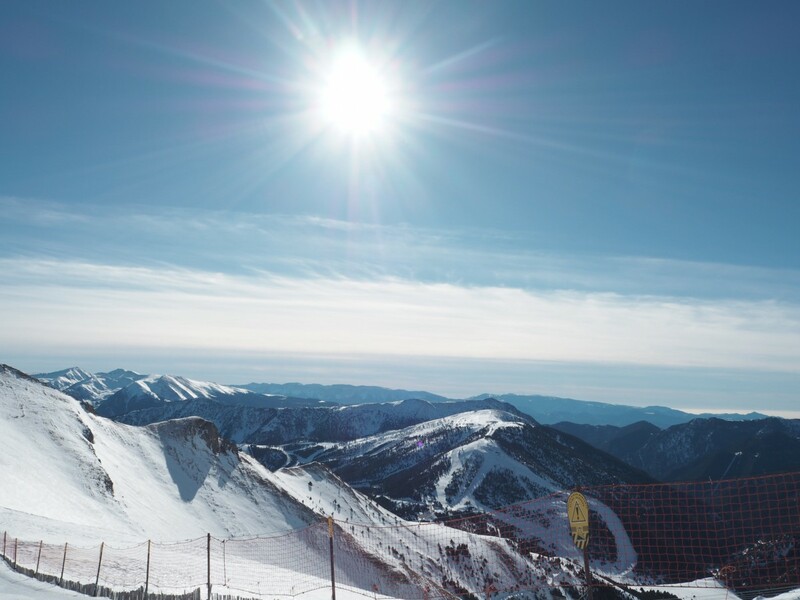 If you’re thinking about going skiing for the first time and want to get the most out of your ski trip, here’s a few tips that I learned on my journey towards completing my first red run. Skiing is taxing on your body as you spend hours going up and down the slopes. I am in what I call “race shape” all year round, but I still could feel my muscles being worked differently and woke up feeling stiff after hitting the slopes properly for the first time! To make sure you get the most out of your trip, I’d advise upping your exercise to help strength your core and leg muscles especially. Crystal Ski has created a class in collaboration with David Lloyd called Slopercise, which helps to get you feeling fit for the slopes. Squats, lunges and running are all great ways to strengthen your legs and it’s a good idea to do a few mobility exercises proir to hitting the slopes to help open up your hips. 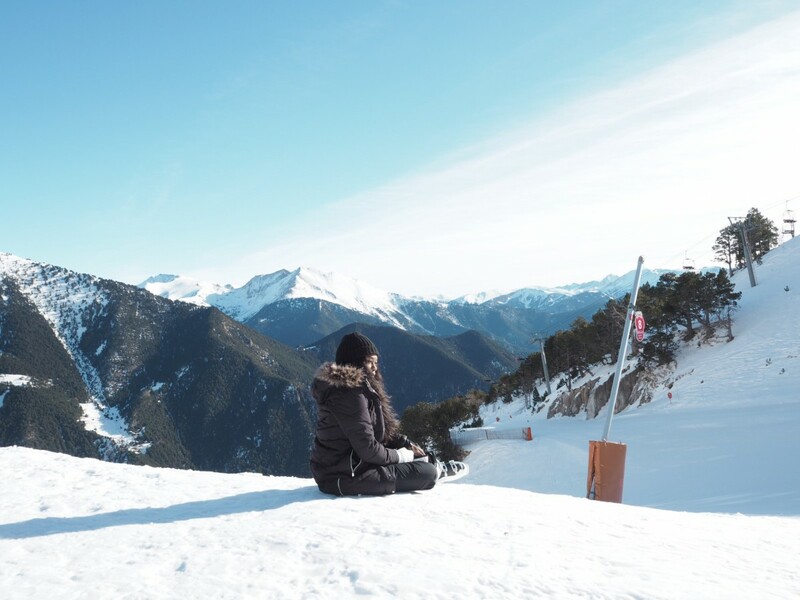 Crystal Ski holidays are winter holiday specialists so if you’re unsure about where to book, contact them and they’ll give you a point in the right direction. 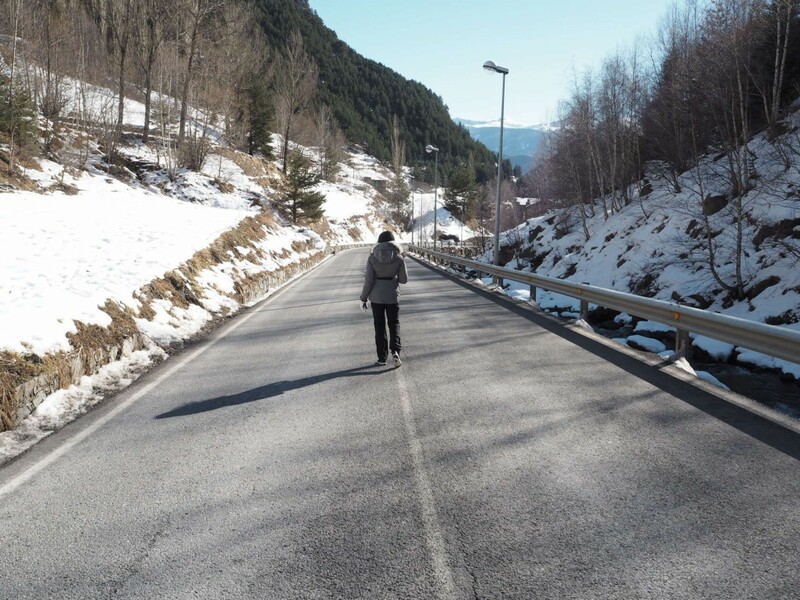 We spent a week in Arinsal, Andorra. 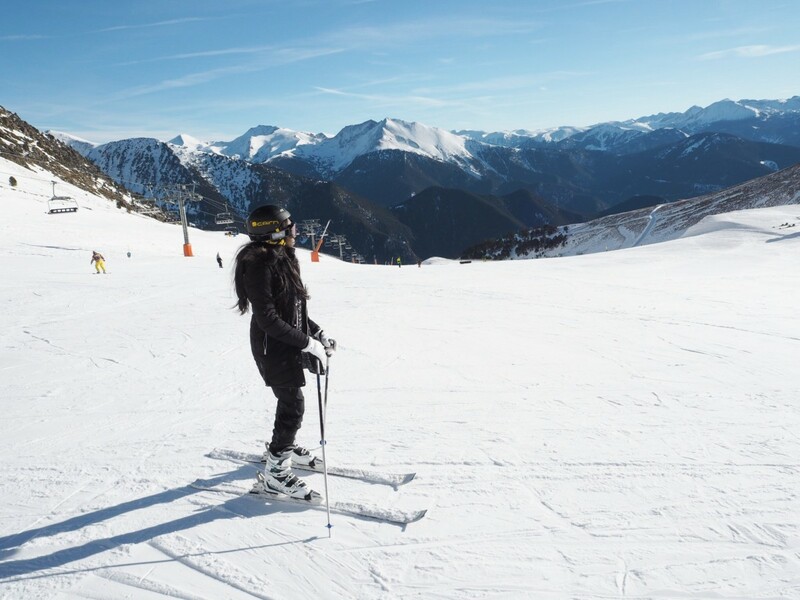 I told the Crystal Ski team that both my husband and myself were beginners so they recommended Andorra due to it’s excellent snow conditions and vast numbers of Green, Blue and Red runs. 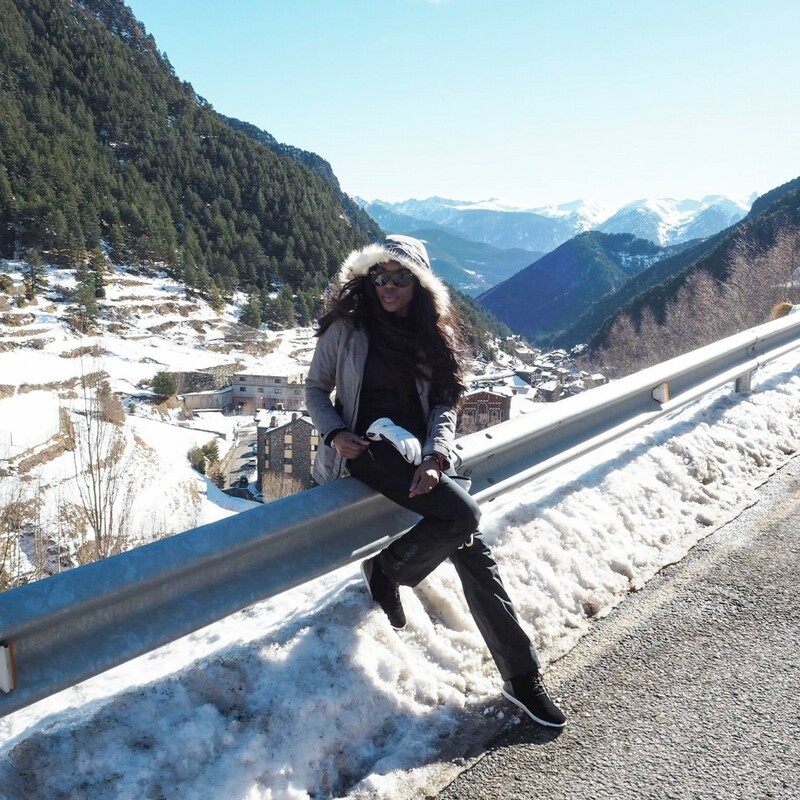 If I am honest, I hadn’t actually heard of skiing in Andorra before then, but I am so glad that we skied there. We mastered the Green runs quite early on and luckily for us there were blue runs in abundance. The blues were perfect for our skiing abilities. They were challenging but still allowed us to pick up speed without losing control. They also started way up in the Mountains which meant we had the most impeccable views on Andorra to accompany us on our descent. I always thought that I would be a snowboarder but after speaking to several people, I was advised to try skiing first because it’s easier to learn. And they were right. I saw a lot more snow boarders taking tumbles than skiers. And, every time I nearly crashed in to someone it was because a snowboarder got in the way. Snowboarding is hard! If you’re a frequent skier who wants to switch it up a bit then yes, go ahead and try snowboarding. But if you’re a first timer and don’t know when you’re going to be back on the slopes, stick to skiing. You want to get the most out of your trip right? So pick the easier option and hit the slopes! Before we hit the slopes I made it my mission to successful complete a red run before we left. 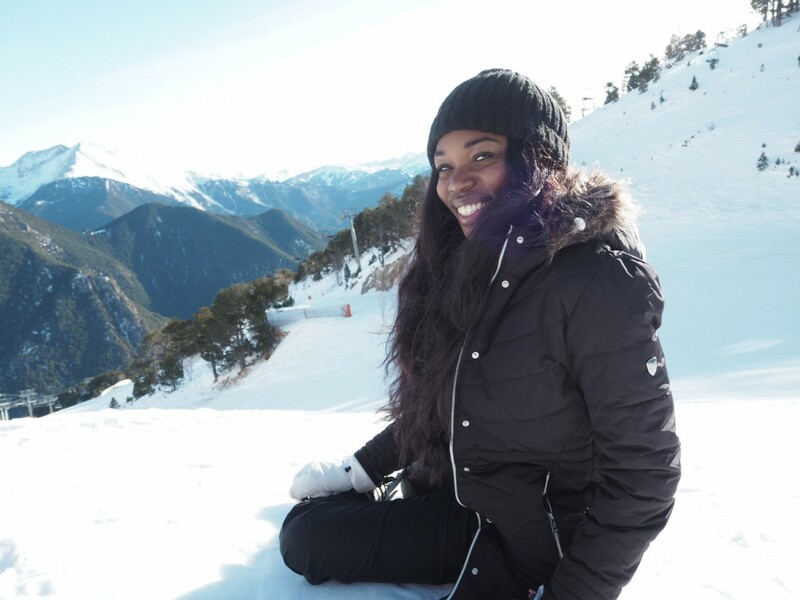 I always imagined myself to flying down the slopes like a pro although I did have some pretty epic falls on day 1 and 2 on the slopes, by day 3 I was feeling confident and quickly moving towards the reds runs. 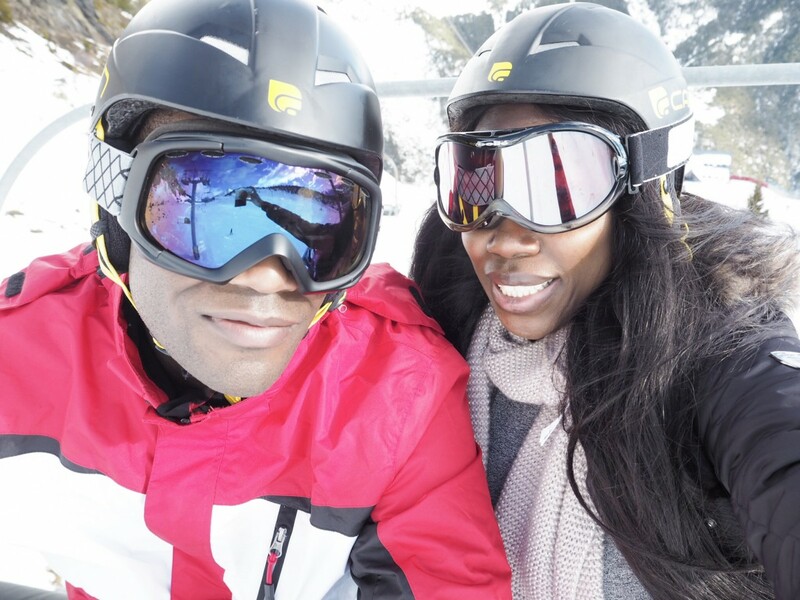 I believe that one of the reasons why I was able to progress quickly and felt so comfortable with my skiing is because both my husband and I were enrolled in ski school. We had lessons for 6 days straight. Yes it meant that we were up at half 7 in the morning to get to the slopes for 9. But it also meant that we got a solid 4 hours worth of lessons every day, and then spent a further 2-3 hours by ourselves putting what we had learned to test. Ski school taught us everything, from how to carry skis to putting them on, taking them off to snow ploughing and parallel turning. I highly advise enrolling into ski school, especially if you’re going away with people who already ski. 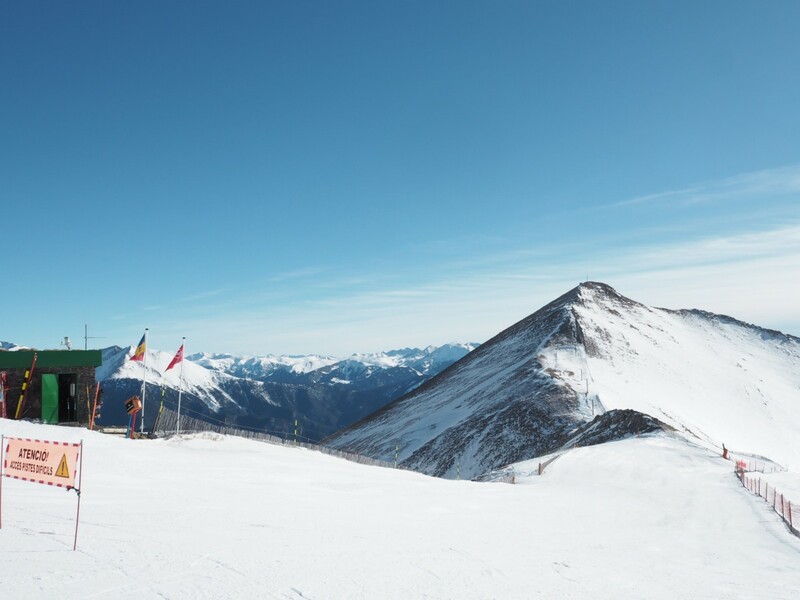 Skiing is hard to begin with but it’ll all fall into place quickly with the help of ski school. We stayed at the Princesa Parc on a half board basis. Half Board means that your breakfast and evening meal are included. The slopes were only about 5-10 minutes from our hotel but we always ate lunch out on the slopes. Purely for convince. Its much easier to take off your skis and head to a restaurant nearby on the mountain than to take off your boots, helmets and catch the Gondola down to ground level, to go back to the hotel for lunch. Half board also means that you can join your fellow skiers for a bit of après ski, without feeling like you’ve wasted money on an all-inclusive plan. Speaking of Apres ski, I’m not sure about other Ski resorts but the drinks in Arinsal were very cheap. A mini bottle of Cava cost less than £4 and house white wine was £2 and it tasted really good too! Ski trips are often known for being expensive but Crystal Ski holiday’s often has offers for you to take advantage of. 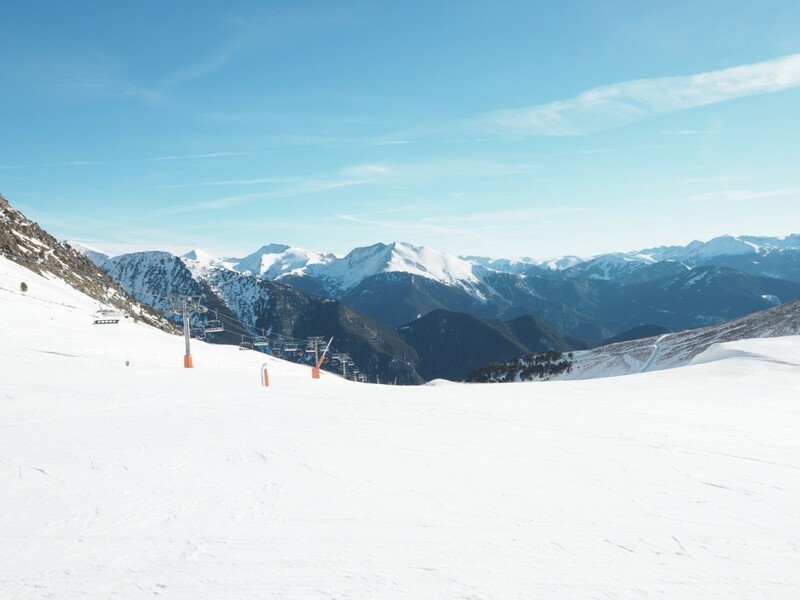 When booking a skiing holiday, try to avoid the school holidays and other seasonal events that might affect pricing. Skiing towards the end of the season might also work in your favour. According to my skiing instructor, he said April was his favourite time to ski because it’s warmer, quieter and the snow is a lot softer which means it doesn’t hurt as much when you fall over. I cannot wait to return back to the slopes next year, I am trying to make it an annual trip for my Birthday. If you’ve got anymore ski tips for beginners please leave them below, I would love to hear your thoughts! Next Post Motivation and how to stay committed to distance learning.